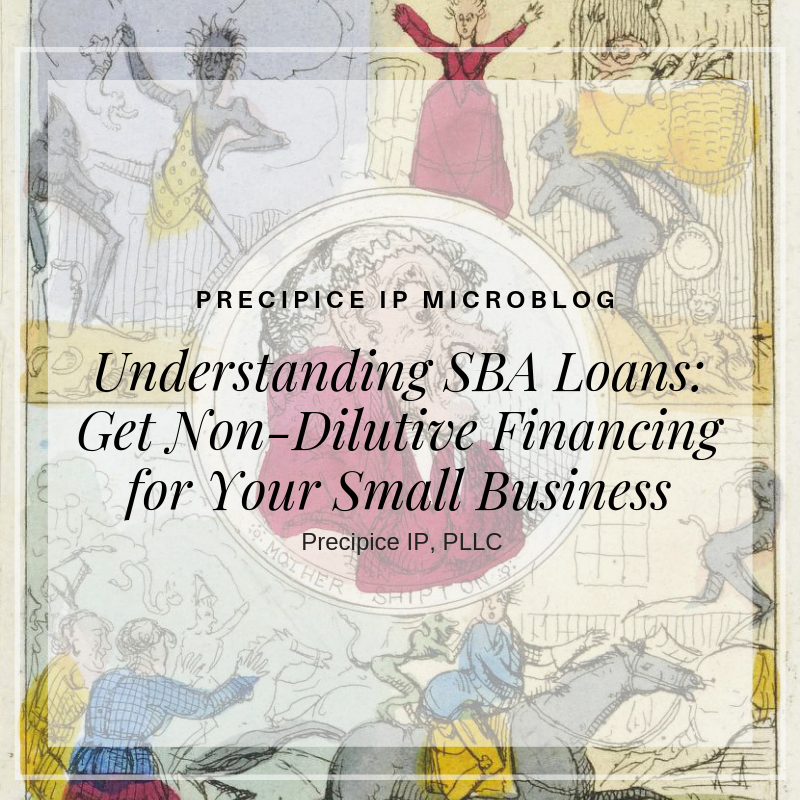 Funded: Understanding SBA Loans- Get Non-dilutive ðŸ¤‘ For Your Business — Precipice IP | Technology Law. SBA backed-loans can be one source of financing for a small technology business. Listen to the podcast of my friend and banker Martha Londagin of Legacy National Bank. She talks about using SBA loans to obtain non-dilutive financing for a company. Did you know you can use registered intellectual property to collateralize some loans? Let your trademark registrations, patents, and copyright registrations work to help you get funded. Funded is a legal information series related to funding your science and technology startup. Using intellectual property such as patents, trademarks, and copyrights as tools to fund and monetize your sci-tech startup can be a good strategic move for your business. ðŸ‘‰ðŸ�¿ Sign up to join our community for more information about ways to manage your companyâ€™s intellectual property. Precipice provides intellectual property and technology law services, such as patents, trademarks, copyrights, privacy, and business formation expertise to science and technology startups.